Identity. Who am I? Where do I fit in? Why am I here? These are questions that mankind has wrestled with since the dawn of time, and that DRASTIC will be facing head on as part of an incredible week long camp experience for high schoolers. Prepare yourself for an awakening of a lifetime, with incredible worship, challenging sessions, transformative experiences, friends, and wild adventures. Would you dare to be Loved, Known and Called? 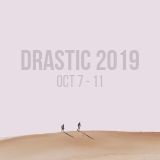 DRASTIC Camp is designed and run by Freshhope Youth, and all leaders on camp have been appropriately screened and checked. The Tops is a first class conference centre with staff who are always willing and helpful with any needs including special diets - please let us know what they are when filling out the camp registration. Campers will stay in comfortable rooms and will have plenty of opportunities to build lasting friendships with other young people - whether it be with those they’re sharing a room with or those they meet in the sessions and activities. Campers stay in comfortable ensuite rooms that sleep up to six, overseen by trained and screened volunteer leaders. The camp is designed and run by Freshhope Youth and their volunteers.